Bus travel is a good travel option in Sweden with a dense network of bus services providing a convenient way of exploring the country. Each county in Sweden operates its own regional bus network and many of these regional networks have their own discount cards which can be a good deal if you want to concentrate on one particular part of the country. Most travellers, however, want to either visit one or two cities as part of a big European tour or zip across the whole country to get a general overview of Sweden which means that express buses offer a much better travel option. 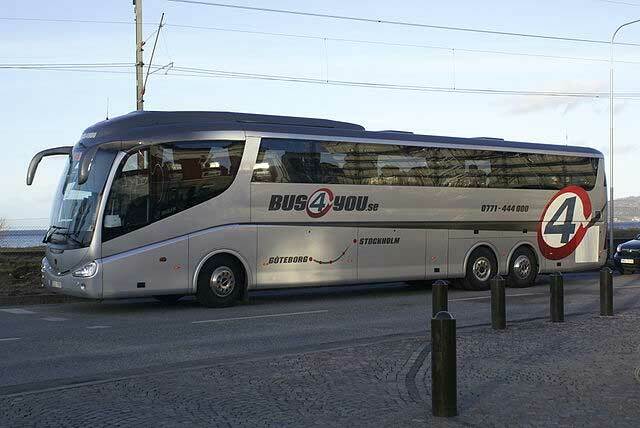 There are a number of long-distance express coach services including Bus4you (which operate Gothenburg–Stockholm and Malmö–Oslo routes) and GoByBus (formerly Säfflebussen) which operate domestic routes plus international services to Hamburg, Copenhagen, Oslo and Trondheim although Swebus and Svenska Buss operate the most extensive coach networks in Sweden with services to most towns and cities throughout the country. Many coaches, including most of those operated by Bus4you and Swebus, include power outlets and wireless internet access. As elsewhere in Europe, Eurolines operates a comprehensive range of international departures. Eurolines have international departures from most major cities in Sweden including Gothenburg, Helsingborg, Jonkoping, Linkoping, Malmö, Norrekoping, Stockholm and Uppsala. The Eurolines Pass lets you travel to Gothenburg and Stockholm.